I want to let you know about the Get Clean Sweepstakes, a really great prize awaits a lucky winner! 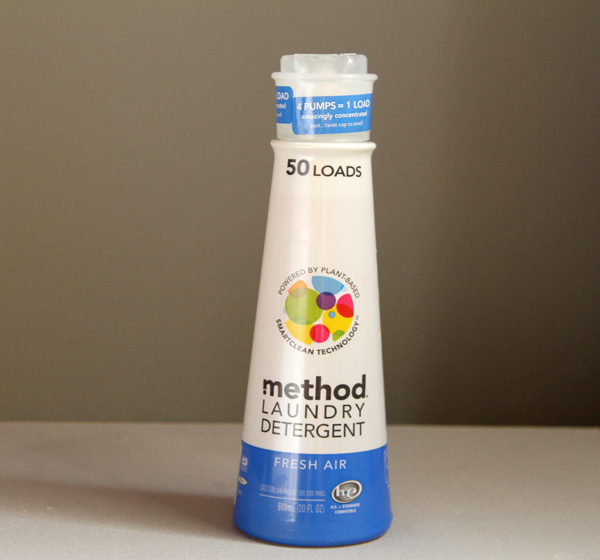 Method sent me some laundry detergent and what I like about it is that the bottle is super small and smart so it really saves on space, it smells pretty darn good, and the concentrated formula works really well. 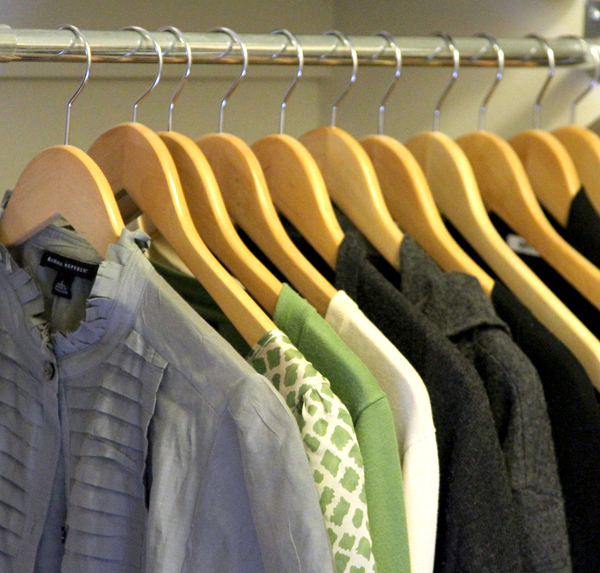 For the last little while my closet has been in major transition (having a baby can do that). Until I get back to my goal, I am motivating myself by not buying any new clothes, and rebuilding my wardrobe in a way that I am excited about. 1: Dress like a French woman and seek after high quality items that will enhance your overall wardrobe, don't get wrapped up in purchasing quantity and those throw-away pieces. You know the ones I'm talking about, right? Have you heard that we only wear 20% of our clothes 80% of the time? Make that 20% the best! 3: Have matching hangers, it makes all of the difference and makes your closet look nice and uniform. 4: Organize your shoes. 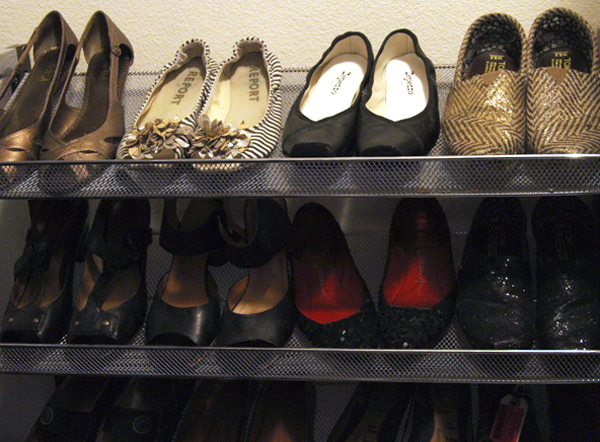 Keep shoes off the ground and find a organizer that appeals to you. A simple shoe rack, a back of the door wonder whatever works in your space. It will feel nice, make things much easier to access, and let you see at one quick glance everything available. 5: Get storage containers that match whether in your drawers or to store seasonal clothing items and accessories -- to give your space uniformity. They create instant boundaries and help limit overall stuff consumption. If it doesn't fit in your closet or storage bins, don't buy it or rotate something else out. Also a little secret of mine is that I always try to have an empty storage bin handy for backup in those quick pick up moments, like when a last minute visitor stops by. Tell me readers, what are your laundry and spring cleaning out your closets tips? I would absolutely love to hear about them! *Method provided the laundry soap, which is already our first choice. This post is sponsored by Martha Stewart and Method, but these opinions and tips are how I really roll. i really need a shoe rack. where did you get that one? Another awesome thing about having uniform hangers is that you can actually SEE everything! Your clothes don't get lost in your closet because everything is hanging at the same level. Your closet is so organized. Thanks for all the ideas. i love all of your ideas! you inspired me to post mine on my blog! please take a peek! Hi Chapstick Fanatic, we got our shoe racks at Costco a few years ago. They are very nice because they stack. I have two stacked together in our closet. You can find something very similar here! Kate - Great point, you CAN totally see everything better!! I am tired of switching the same clothes from Spring/Summer to Fall/Winter and looking at all of the clothes I did not wear. It is all too much. Oooh I love that tip of having an extra box handy. It's my goal to get a matching set of hangers for my closet. One Bed, Bath and Beyond coupon at a time! I use the same laundry detergent--so fresh and clean-smelling--and couldn't agree more about the wooden hangers. My boyfriend still insists upon using the dreaded wire hangers he gets from the dry cleaners. And no amount of prodding or cajoling will get him to do otherwise. Weirdo. For motivation to get rid of clothes I give my self shopping rewards! For the past three years, I allow myself to buy back 1/2 the # of items I donate. So if I donate 10 items that season, I allow myself to buy 5 new items that season. My closet is less crowded and very edited down to what I actually wear now! All so well said! I used to be a quantity person and now that I have a 1 year old, I have to go with a "uniform" of pieces I love and feel my best in. Also love Method! Their dishwasher pellets are the only eco brand that works...and I've tried them all! This is a great idea, Rachel. Sometimes, we get so busy with what's on the surface that we tend to forget to clean the inside too. Our closets may appear tidy and regal from the outside, but when we open it -- whoa, chaos! So we got to do something about our clothes and shoes, too. I like the first tip, Rachel! I like the use it or get rid of it attitude right there.